Teresa Sanader is an alumnus of the LSE MSc in Human Rights. She was an intern on the Human Rights Futures Project at the Centre for the Study of Human Rights and is currently working on a PhD thesis in constitutional law at the University of Innsbruck, Austria. In its recent and much discussed judgment of 1 July 2014 the Grand Chamber of the European Court of Human Rights (ECtHR) in Strasbourg held that the French law no. 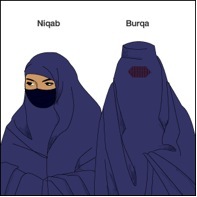 2010-1192 of “prohibiting the concealment of one’s face in public places”, better known in the media as the so-called “French burqa-ban”, is compatible with the European Convention on Human Rights (ECHR). The applicant, a 24-year-old French citizen of Pakistani origin, who voluntarily wears the burqa and niqab according to her religious faith, culture and personal convictions, is one of the estimated 1,900 women on the French territory affected by the blanket ban on wearing the full veil in public. She based her complaint against the French law inter alia on Articles 8 (right to respect for private and family life), 9 (freedom of thought, conscience and religion) and 14 (prohibition of discrimination) ECHR. In the light of the ECtHR’s previous case-law the decision of S.A.S. v France is not surprising at all, as no violation of the right to manifest one’s religion or belief can be found in the Court’s jurisprudence with the sole exception of Ahmet Arslan v Turkey, where ordinary citizens belonging to a specific religious group were convicted for wearing religious garments in public and at a court hearing. All other cases concerning religious clothing in the educational environment (e.g. Dahlab v Switzerland, Leyla Şahin v Turkey, Kurtulmus v Turkey, Dogru v France, R. Singh v France) lost before the Strasbourg Court; they were either declared inadmissible or seen as justified under Article 9 (2) ECHR. Nevertheless, it was reasonable to think that the French law of 2010, expanding the prohibition of wearing a full veil from the educational environment (introduced by French law no. 2004-228) and from representatives of the state such as state school teachers to ordinary citizens in their everyday lives went too far. Even the ECtHR was aware of the similarities between Ahmet Arslan (violation of Article 9 ECHR) and the present case and was keen to distinguish the two cases on the facts: religious garments in public places were decisive in both cases, but the concealment of the face played a role only in the present case. 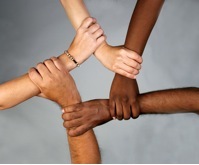 By doing so in an arguably far-fetched way, the ECtHR happily accepted the new principle of “living together”. The ECtHR has often applied a technique of avoidance when it comes to Article 9 ECHR, finding the first violation only in 1993 (Kokkinakis v Greece; until 2012 only 46 violations of Article 9 and e.g. 940 violations under Article 8 ECHR). Moreover, the ECtHR always underlines the lack of European consensus in the Council of Europe member states regarding the relationship between state and church: the different concepts range from state-church arrangements to secularism/laïcité. For the present case it might be true that on a more abstract basis no European consensus on the significance of religion in society can be found, but I agree with the third-party interveners and the dissenting judges on the fact that – apart from France – a law of prohibiting the concealment of one’s face in public can be found only in Belgium. Thus, 45 out of 47 member states strongly point towards a clear European consensus on this matter. Furthermore, and connected to the second point, is the ECtHR’s willingness to grant the member states a wide margin of appreciation concerning the topic of manifestation of religion in public places. This means that national legislatures are generally given discretion on how to address the question. However, the ECtHR held in X and Y v the Netherlands that the margin of appreciation might be narrow when “fundamental values and essential aspects of private life” are at stake; therefore in the burqa case, the Court should have undertaken a more careful balance. Instead of doing so, the Court refers to its supervisory role, its lack of direct democratic legitimacy and the subsidiary nature of the Convention system to national human rights protection mechanisms (see also the new developments in Protocol 15 to the ECHR) and deferred to the discretion of the French government. The right of manifestation of one’s religion or belief is a qualified right, which can be limited by the member states if the restriction is “prescribed by law”, pursues a legitimate aim and is “necessary in a democratic society” and thus proportionate. The French Government provided two legitimate aims: public safety and the “respect for the minimum set of values of an open and democratic society”. The ECtHR held that as no evidence for a general threat to public safety was provided for by the government, an absolute ban was disproportionate to the aim pursued. However, it accepted the second legitimate aim of “living together” and subsumed it under “protection of rights and freedoms of others”. The other two explanations for the law – fostering gender equality and human dignity – were, however, rejected by the Court. Moreover, the ECtHR acknowledged the French effort of not phrasing the law in a directly discriminatory way (basing it on the religious connotation only) and it did not pay much attention to the legislative history, or the clear political intention of banning the full veil from the public realm. The Court correctly pays attention to the French concept of laïcité – nevertheless, in my opinion a line should be drawn between forms of liberal and fundamentalist secularism: extending duties regarding religious neutrality from public officials to ordinary citizens in all public places seems highly problematic. Furthermore, the question remains how likely it is for a French citizen to meet one of the 1,900 women wearing a burqa in public and wishing so badly to communicate and socialise with them that their sense of “living together” is deeply disturbed. The dissenters, Judges Nußberger and Jäderblom, raise some well-grounded questions regarding the vague nature of the general concept of “living together”. They point out that the right to private life includes the right not to communicate, the right to remain an outsider. Moreover, they criticise the absence of an in-depth analysis of the principle of proportionality; less restrictive measures exist to pursue the legitimate aim of “living together”, such as civic education instead of a general prohibition. I especially agree on the point that a ban on wearing the full veil in public might produce counter-productive effects for women who are forced into wearing the niqab or burqa: they stay at home instead of being able to integrate themselves by means of education or employment. The case of S.A.S. v France shows once more the European Court of Human Rights’ unwillingness to interfere in the highly sensitive topic of religious manifestation in public, and its willingness to grant a wide margin of appreciation to the member states; after this second Grand Chamber judgment (on education see Leyla Şahin) little hope remains that the Court will change its approach in the future. In conclusion, the problems identified in the case raise the key question that human rights activists can never escape: is it ever possible to satisfactorily solve highly political issues by means of law, particularly by the individual human rights regime? This entry was posted in Discrimination, Law and tagged analysis, burqa, caselaw, ECHR, France, niqab, Strasbourg. Bookmark the permalink.